What Are the Best Exogenous Ketone Supplements to Buy? 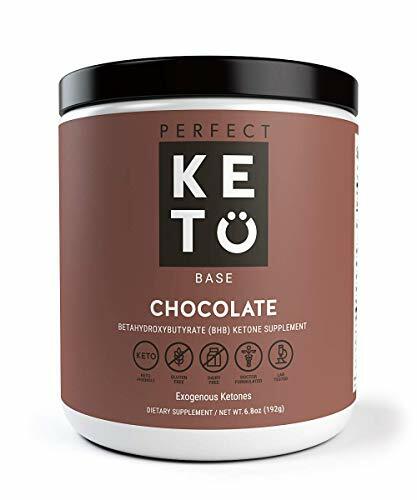 I went out looking for what are some of the highest rated & most recommended exogenous ketone products and brands that can be used to enhance your ketone levels on keto or low carbohydrate diet. 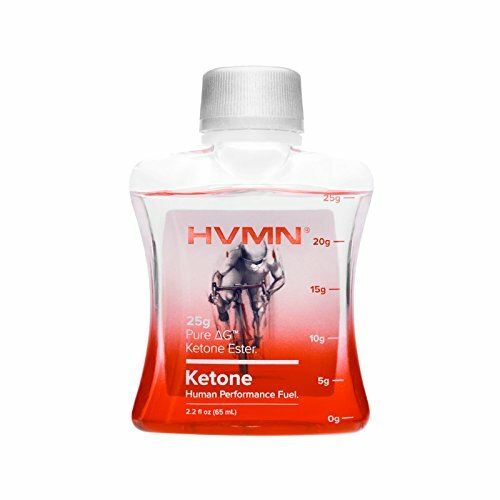 The HVMN ketone ester is designed to be a quickly accessible source of ketone energy, and is a world first that is backed by years of research. The bottles come in a convenient drink that provides both an appetite suppression, plus physical and cognitive energy. 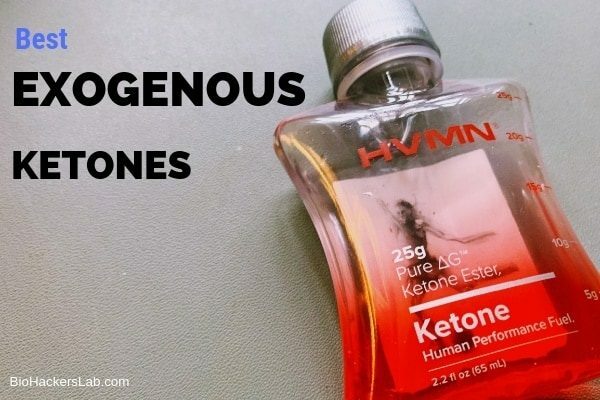 The benefits of ketone esters, specifically HVMN brand, is that they help mimic the normal metabolism of endogenous (within the body) ketones. By processing them at the liver, you will get the fastest results possible, triggering ketosis and appetite suppression very quickly. Since esters are bound to alcohol molecules, they metabolize in the liver to deliver results quickly. The only downside is the taste, which is rather unpleasant. The Perfect Keto BHB salts are available to buy directly on Perfect Keto website PLUS if you use the code “BIOHACKERSLAB” (without the quotation marks) at checkout you will get a discounted price off the RRP price. 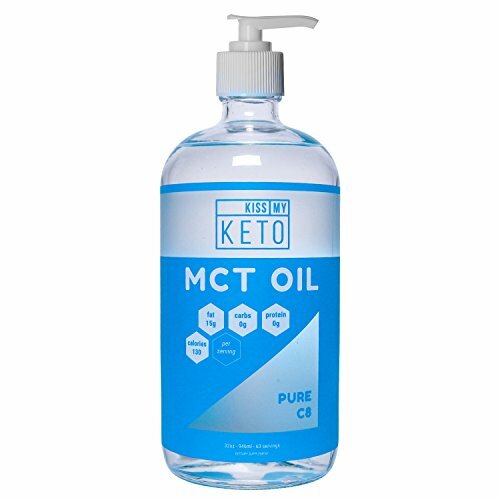 Mimicking the positive effects of MCT oil without having to deal with the difficulty of mixing oil into a water-based liquid, this powder provides the benefits of medium-chain triglycerides without the hassle. It comes flavored or unflavored, and can be used without the fear of digestive distress that MCT oil in its pure state often causes. 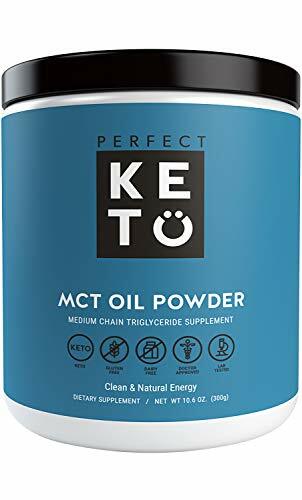 The Perfect Keto MCT Oil Powder containers are available to buy directly on Perfect Keto website PLUS if you use the code “BIOHACKERSLAB” (without the quotation marks) at checkout you will get a discounted price off the RRP price. 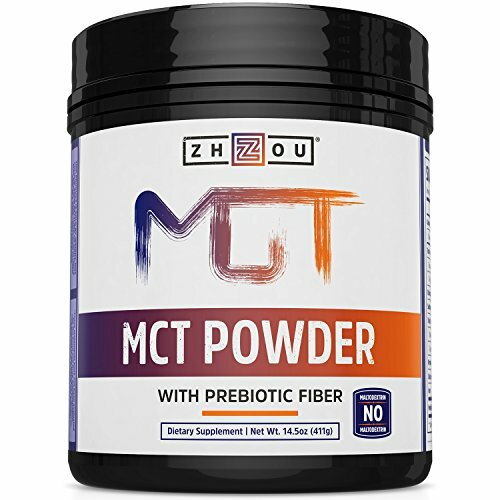 Another MCT oil powder, this one includes a prebiotic fiber. This increases the satiating, appetite-suppressing effects of the MCT oil by combining them with filling fiber. It also improves gut health, as prebiotics are show to be better at improving gut flora than probiotics. 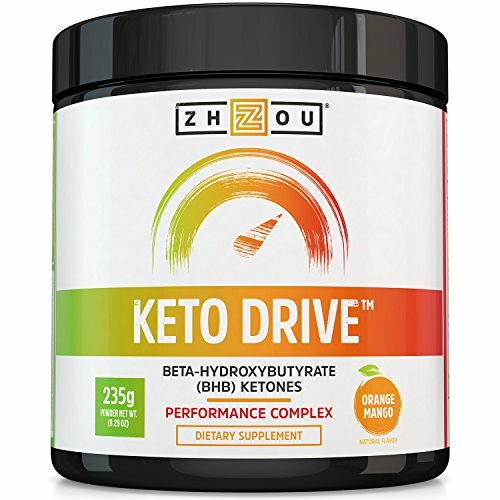 I know that you are looking for the best options for exogenous ketones, but here is some more detail as to what constitutes quality exogenous ketone supplements and why they are useful for those seeking nutritional ketosis. This is pure ketones bound to alcohol esters. The benefits are that your body will immediately use them, but they taste awful, like rubbing alcohol. There are also very few commercial sources of esters thus far, but for quickly entering ketosis, it is difficult to do better than these esters. These products bind ketones to a salt of calcium, magnesium, potassium, or sodium to improve the body's ability to absorb the ketones. These are easy to use, mix well with drinks, and make up most of the exogenous ketone market. MCT oil and refined coconut oils are the most widely distributed products in this category. They are typically tasteless and provide quick ketosis and ketosis-derived energy and focus. The downside is they are known to cause intestinal distress, particularly when you first start using them. Raspberry ketones have been marketed heavily in the last few years, but they're not really ketogenic at all. Instead they are derived from the chemicals that give raspberries their delicious smell, and while they're "technically" ketones, there is little evidence they affect ketosis or fat loss at all. Exogenous ketones put the body in an immediate state of nutritional ketosis, making it so that you metabolically burn fat instead of sugar. The ketones also blunt your appetite while still providing energy. In fact, because ketone metabolism skips insulin production and blood sugar swings almost entirely, it provides exceptional mental clarity, which is another reason why some people take exogenous ketones, even if they don't need or want to lose weight. What Are the Benefits of Using Exogenous Ketones? Appetite Suppression - Even more helpful for weight loss, ketones blunt your appetite to help prevent snacking and overeating, plus, prevent insulin swings that create hunger and cravings. Increased Mental Clarity - Without the ups and downs in blood sugar caused by insulin, the brain functions sharper and can possibly help with brain fog feelings and during periods of stress like meetings, exams and deep thinking tasks. Reduce Keto Flu Symptoms - By helping to provide higher BHB ketones that can help the body get more energy can help reduce the severity of the keto adaptation period "keto flu" plus the slats in ketone salts may provide electrolyte support. Yes, exogenous ketones are great for people who want to use ketosis for aiding weight loss. By causing the body to enter a state of ketosis very soon after ingestion helps to reduce your appetite. This can help someone both reduce their excess calories eaten per day without all the cravings and hunger that dieting often creates. They also make it easier to function with less food, which aids intermittent fasting so that a person can also help boost their endogenous ketone production. 2.1 What Are the Different Types of Ketone Supplements? 2.2 What Do Exogenous Ketones Do? 2.3 What Are the Benefits of Using Exogenous Ketones? 2.4 Do Exogenous Ketones Help with Weight Loss?